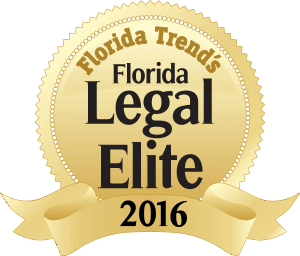 PersanteZuroweste is a leading Tampa Bay trial law firm. For more than thirty years, we have established a reputation as prominent trial lawyers serving clients throughout Florida, and are conveniently located to the Clearwater, St. Petersburg, and Tampa Bay communities. We pride ourselves on not being a conventional law firm. Our lawyers work closely with you to provide the attention and value found only in small firms. We approach our cases with a realistic, down-to-earth perspective, and counsel you every step of the way. Connecting clients to justice is our goal. We focus on being the best trial lawyers around. We are trial lawyers above all else and do not limit our practice to a few areas of the law. We have wide-ranging experience across many areas, and have tried many kinds of cases. We are a small firm with big cases. We carefully select our clients and the cases we believe in. We are lawyer’s lawyers. We represent lawyers, and are often brought in to represent their clients and try their cases. We are results-oriented. We are diligent, relentless problem-solvers, constantly strategizing to reach solutions for your case. We are skilled at resolving any kind of dispute. We are highly experienced. We handle court cases and arbitrations in Florida and throughout the country. We use a team approach in all of our cases. We treat our clients with honesty and respect, and are mindful of each client’s goals and needs. We are honest and straightforward about the realities of your case. We strive to under-promise and over-perform. We know how to deal with opposing counsel’s tactics and “dump truck” discovery. We work constantly to improve our trial skills and are part of a network of the best trial lawyers in the county. We understand litigation is expensive, and work to keep fees as reasonable as possible. A recent decision from the Fourth District Court of Appeals confirms that the examining committee must conduct a physical examination on the alleged incapacitated person.